The Boeing [NYSE: BA] SES-15 satellite, launched today, will bolster connectivity for Wi-Fi and entertainment services on flights over North America, Mexico and Central America. It will also serve the government, enterprise and maritime sectors. This 702-model satellite also demonstrates that using 3-D printed parts can improve affordability and production. More than 50 such metallic parts are on the vehicle in the primary structure. This is the fifth Boeing satellite to be deployed with a highly efficient all-electric propulsion system. 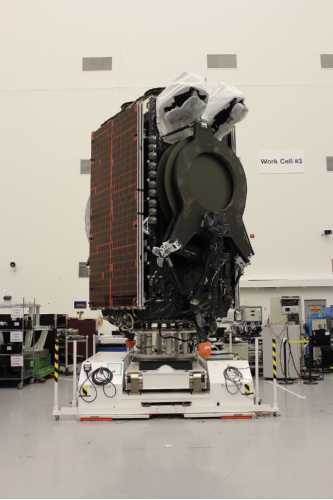 SES-15 has a hybrid payload, including additional Ku-band wide beams and Ku-band High Throughput Satellite (HTS) capability, with connectivity to gateways in Ka-band. The U.S. Federal Aviation Administration’s (FAA's) safety efforts will also benefit from the satellite as SES-15 carries a Wide-Area Augmentation System (WAAS) hosted payload for the FAA. SES has ordered 12 Boeing satellites since 1990, including SES-15. SES-15 is the operator’s first 702 all-electric satellite in its fleet.